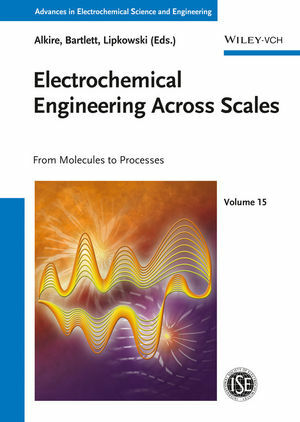 In Volume XV in the series "Advances in Electrochemical Science and Engineering" various leading experts from the field of electrochemical engineering share their insights into how different experimental and computational methods are used in transferring molecular-scale discoveries into processes and products. Throughout, the focus is on the engineering problem and method of solution, rather than on the specific application, such that scientists from different backgrounds will benefit from the flow of ideas between the various subdisciplines. A must-read for anyone developing engineering tools for the next-generation design and control of electrochemical process technologies, including chemical, mechanical and electrical engineers, as well as chemists, physicists, biochemists and materials scientists. Richard C. Alkire is Professor Emeritus of Chemical & Biomolecular Engineering Charles and Dorothy Prizer Chair at the University of Illinois, Urbana, USA. He obtained his degrees at Lafayette College and University of California at Berkeley. He has received numerous prizes, including Vittorio de Nora Award and Lifetime National Associate award from National Academy. Jacek Lipkowski is Professor at the Department of Chemistry and Biochemistry at the University of Guelph, Canada. His research interests focus on surface analysis and interfacial electrochemistry. He has authored over 120 publications and is a member of several societies, including a Fellow of the International Society of Electrochemistry.